Product prices and availability are accurate as of 2019-04-20 23:39:36 UTC and are subject to change. Any price and availability information displayed on http://www.amazon.com/ at the time of purchase will apply to the purchase of this product. One of the most storied franchises in history soars to new heights. 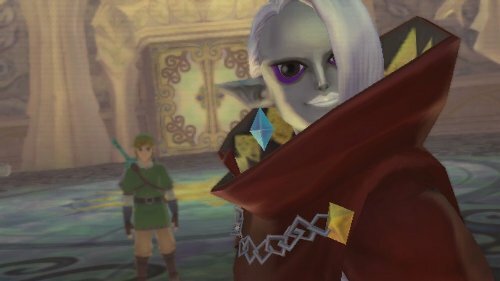 The Legend of Zelda™: Skyward Sword shakes up the tried-and-true adventure game formula and marks a turning point for the franchise. The introduction of full motion controls to the series enabled by Wii MotionPlus™ technology enhances player movements while offering the most intuitive play control of any game in the series to date. Every copy in the initial production of the game will come packaged with a special music CD featuring orchestral arrangements of select songs performed at The Legend of Zelda 25th Anniversary Symphony Concert. 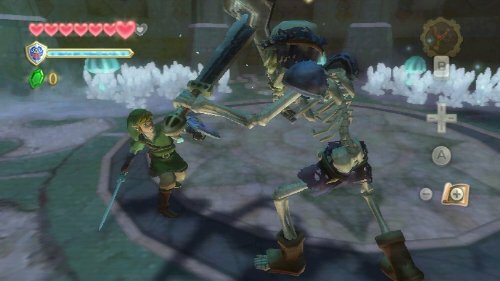 A Wii Remote Plus™ controller or Wii MotionPlus™ accessory is required to play The Legend of Zelda: Skyward Sword. There will also be a limited edition bundle version of the game available, with a Gold Wii Remote Plus™ controller included. 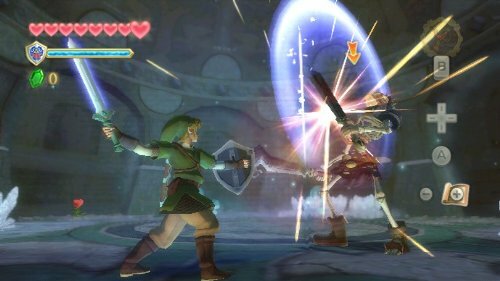 The Legend of Zelda: Skyward Sword boasts the most realistic sword combat of any game to date, turning every encounter into a challenge of both brains and brawn. 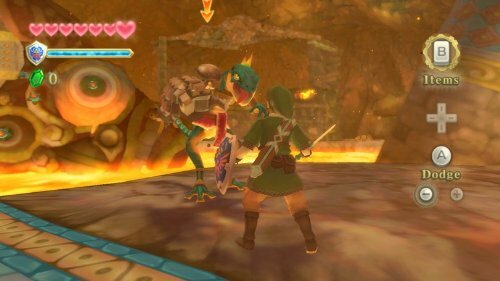 Explore a massive, multilayered world that seamlessly blends soaring exploration in a sea of clouds with intense ground-based adventuring that blurs the line between the main world and traditional Zelda dungeons. 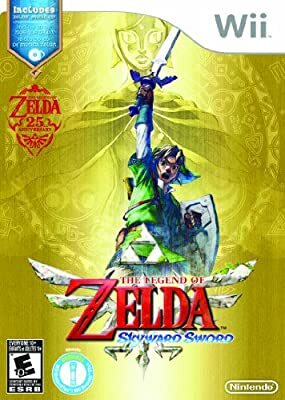 The Legend of Zelda: Skyward Sword redefines the traditional Zelda framework and introduces an arsenal of items, upgrades and rewards unlike any game in the franchise to date. Every copy in the initial production of the game will come packaged with a special music CD featuring orchestral arrangements of select songs that will be performed at The Legend of Zelda 25th Anniversary Symphony Concert. 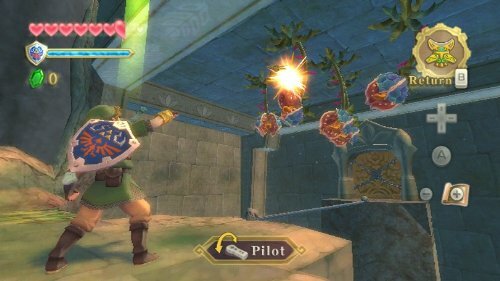 A Wii Remote Plus™ controller or Wii MotionPlus™ accessory is required to play The Legend of Zelda: Skyward Sword.